DAPHNE, Alabama – Yamane Championship Mixed Martial Arts in Daphne was one of 14 small businesses, nonprofits and advocates nationwide honored for excellence recently in Washington, D.C., during the 2014 Service Corps of Retired Executives Awards. The annual SCORE Awards recognize U.S. small business owners and nonprofits that have benefitted from their SCORE mentorship. The 2014 awards also helped the organization celebrate its 50th anniversary and services provided to more than 10 million businesses during that tenure. In 2013, alone, SCORE mentors assisted entrepreneurs in starting 38,630 new businesses, creating 67,319 new jobs and serving a total of 330,796 clients. “We are excited and honored to recognize the achievements of these small business owners, nonprofits and advocates who have helped bolster entrepreneurship in America,” Ken Yancey, chief executive officer of SCORE, said in a prepared statement. 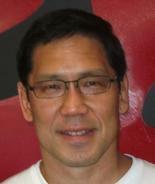 Yamane, a Hawaii native and attorney by trade, relocated from Los Angeles to Baldwin County in 2010, to be near his wife Layla’s family and raise children. The following year, Yamane Championship Mixed Martial Arts opened its doors with SCORE’s assistance and by 2012 turned a profit. David R. Bobbit, executive director of the SCORE Foundation, said small business clients and supporters such as Yamane inspire others to venture down their own entrepreneurial paths. “Entrepreneurs improve every American community and our entire economy. This is our chance to sing the praises of some unsung heroes—small business owners who have achieved something for themselves and their families as well as SCORE volunteer mentors who give back through service,” Bobbit said. Outstanding Woman-Owned Small Business: A&E Audiology, Dr. Kamal Elliot – Lititz, Pa.
Small Business with Outstanding Citizenship: Smiles to You, Katherine Fitchett Reynolds – Newport News, Va. Outstanding Innovative Small Business: LulyBoo, Pazit Ben Ezri – Irvine, Calif. Outstanding Young Entrepreneur: FreshCorner Café, Noam Kimelman – Detroit, Mich. SCORE Chapter of the Year: Orange County, Calif.
Click here to learn more about Yamane Championship Mixed Martial Arts and here to learn more about SCORE.